You know the feeling— the knot in your stomach caused by the fear of not getting a report, presentation or project done on time. The ticking of the clock on the wall is so loud, and it is all you can focus on. It seems that no matter how hard and fast you work, there is no way you are going to meet that deadline. When it’s all over, you sit with your head in your hands wondering to yourself, what went wrong? Ok. Take a deep breath. 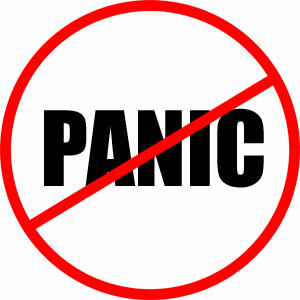 There is no need to panic. What you need is to do is establish a structured process to ensure that you never miss another project deadline again. Sounds simple enough, right? Unfortunately, the reality is that many organizations and their teams suffer from what is known as Process Phobia – the fear of establishing firm, structured guidelines in the planning phases of project management. Sounds ridiculous, right? Well for one, like many of us, when faced with high levels of stress, tight deadlines, we tend to skip a few steps for the sake of time and go right into doing mode and completely omit the whole “planning phase.” At the time, it may seem like the right thing to do given severe time constraints. However, the consequences of diving right in may really outweigh the benefits of proper planning. Taking the time to put together a plan can make the difference between a product or service winning or losing in a competitive marketplace.